If too much time has passed since the last time that you had your teeth cleaned, and your teeth are feeling especially dirty, then you may find yourself asking your friends and acquaintances to recommend a St. Augustine dentist who can provide you with a deep dental cleaning. 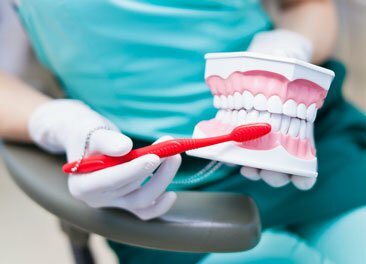 There is a common misconception that a deep dental cleaning is necessary when you need to make sure that your teeth are ‘good and clean.’ The truth is that a deep dental cleaning isn’t exactly what you might think, and only the dentist and the hygienist can determine when and if that procedure is right for you. When you haven’t been able to give your home or your car the proper car, you can hire a professional to clean it from top to bottom. You might call this a ‘deep cleaning’, and this type of full-service detailing may be necessary every year or so, just to keep your home and car in tip-top condition. When it comes to your teeth, even a normal cleaning can be very detailed and thorough—if you are free from periodontal disease. If the dentist and hygienist determine that your teeth and gums are healthy, then they are likely to recommend a normal cleaning for you, no matter how long it’s been since your last cleaning. If you have been diagnosed with periodontal disease, and suffer from bone loss, inflammation, and/or tartar has accumulated beneath the gumline, then the hygienist will need to clean ‘deeper’ below the gumline, and this is often known as a dental deep cleaning. The term ‘deep cleaning’ refers to the depth that the hygienist must clean below the gumline in patients who have periodontal disease. The term does not refer to the amount of coffee stain that that shows when you smile or the fuzziness of the plaque that you can feel on your teeth. Contact a dentist in St. Augustine today to schedule an appointment for your dental cleaning today. Don’t Expect the Dentist to Say You Need This Is Bad Breath a Dental Problem?